Yesterday was officially our first day of school! Woohooo! Yes, I realize it is October. We started our morning off with a breakfast at McD's. Not because I'm a plan-ahead kind of mommy, but because David was running late for work so we decided to take him (faster than him going to the employee lot, taking the shuttle, etc). And the only reason I'm including that tidbit up there is to have a record of being a "fun" school marm. Kids, now you can't say I never did anything spontaneous with y'all. With our bellies filled with the nutritious goodness that only a McGriddle can give, we began our school day. I had planned on doing block scheduling again (M/W focus on language arts and history, T/Th focus on science, Latin and art). But feeling defeat in the LA department a short while back has spurned me to try the every subject, every day approach. Sure it's more hassle for me, but it will hopefully work better with my boys' retention issues (or lack thereof). That's what I get for saying "we will definitely be keeping" something in the first place! 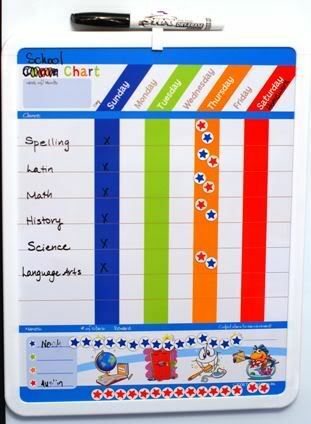 A few weeks ago, I picked up this chore chart and decided to modify it for use in our homeschool. It adds zero value to record-keeping or anything like that, but for some reason my boys really ENJOY being able to mark off charts and track their daily progress. An added bonus is being able to deflect the old "what else do we have to do?" question! Are you impressed with my high tech homeschooling techniques? I'm cutting edge, I tell ya. All in all it was a great day. We completed spelling, math, handwriting, language arts, history, and Latin. Science got put on hold due to a lack of seltzer water for our science experiment-- so much for "common" household items. For a list of what we're using this year, check out this post. The only difference is that we are using Switched On Schoolhouse for the language arts portion, while continuing with the Sequential Spelling. "Mommy, I think my nemesis this year is going to be Language Arts." "Noah, an 8 year old that can come up with the word nemesis and use it correctly in a sentence should have no problems with Language Arts!" If you're homeschooling, how is your year going so far? Anyone getting an off-season start like me? If you are not a homeschooler, how is your family adjusting to the back-to-school routine? We start school at home on Monday. Even later in October than you. Only thing is this will be the first day of school EVER. First day of school at home EVER.... for me. Pray for me. :) Thanks for all of your support and advice. I love you!!! We are starting late as well. We got off track last year and had a lot of catching up to do. I considered the block scheduling this year too, but decided to stick with the every subject every day plan...it just works for us. We get through the stuff faster, and it allows more review time for us. I don't think my 10 and 12 year old could use the word nemesis in a sentence, so Noah is doing great! We started later than most of the schools in our area. We started after Labor Day. We are just starting to get our routine down. It is SO much harder trying to teach two kids. With 1 in 2nd grade and the other in Kindergarten, we can do some stuff together, like stories and I can teach a basic science concept and then go a little more in depth for the older one. love it! my kids don't even know the word nemesis. ours went right on through the summer, our "stuff" got mega organized with the nesting, and now it has all come to a screeching halt while we countdown the days to our new babyhead. hope your year is marvelous! We started back on August 31. So far it is going really well. I decided to try a new approach this year. Since I began homeschooling 8 years ago, I have been really big on textbooks and did ABEKA and LIFEPACS. I have also done Rod and Staff English the last 2 years. This year I am doing Learning Adventures which is more of a unit study approach. I am just doing math, LIFEPACS for the younger 2 and Algebra on DVD for my oldest. We are also doing a typing program as well. I was a bit nervous to do this at first, but now I love it! We are all learning the same things together!!! Our first study has been on Egypt! We are all really loving it! Hmmm... not sure if I want to publicly admit this but I asked Noah where he learned the word "nemesis"... From the carton Phineas and Ferb!!! I was hoping he would say it was from one of our adventure reading books. Well, thank you very much! I can't believe that someone else had a later start in school this year than my family (as I wipe my brow)! I started school (in my head) in August. We made great attempts in September. 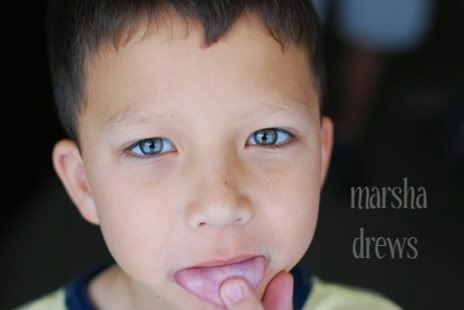 Sickness and mommy disorganization gave us a few bumpy weeks. Finally, towards the end of September, I just decided to start regardless of where I was in the planning process. I mean, I could be planning all year and never had started. High-tech. You betcha! I too think Noah will do just fine. I think he was trying to show off :) Oh, the exciting adventures of a new school year. I find I'm learning right along with my girls. We just did a study on Christpher Columbus and I can't believe how much I never learned. I also can't believe how different a secular education (which I had) is from a Christian education. Someone went to alot of trouble to take Christ out of everything!! We're getting off to a very slow start, and I guess that's okay with me. It is what it is, right?